I am gearing up for Maddie & Matt’s wedding in just a few more months, but absolutely loved shooting their engagement session earlier this spring! We had a relatively nice day as far as warmth goes for March in Iowa, but it was very overcast. That ended up being a huge blessing though because we were able to shoot everywhere and anywhere we wanted downtown without any iffy sun speckling that sometimes happens in the pedestrian mall. 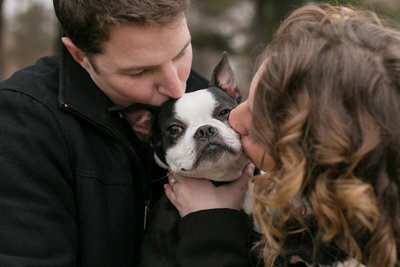 Just as I was emailing Maddie with the first draft of their wedding day timeline, I got notice that their engagement session had been featured on Blushing Bells! Seeing it makes me so excited all over for their wedding day. I love seeing perfectly compatible people fall in love and choose to make a life together. They are coming up on their 1 year anniversary and I can only hope that we have the same swift change of weather that we did last May! Leading up to Jaclyn & Jacob’s wedding day, it was blustering and cold, much like it is right now, but then we had the most glorious, warm sunshine on the weekend of their wedding and it could not have been more perfect. 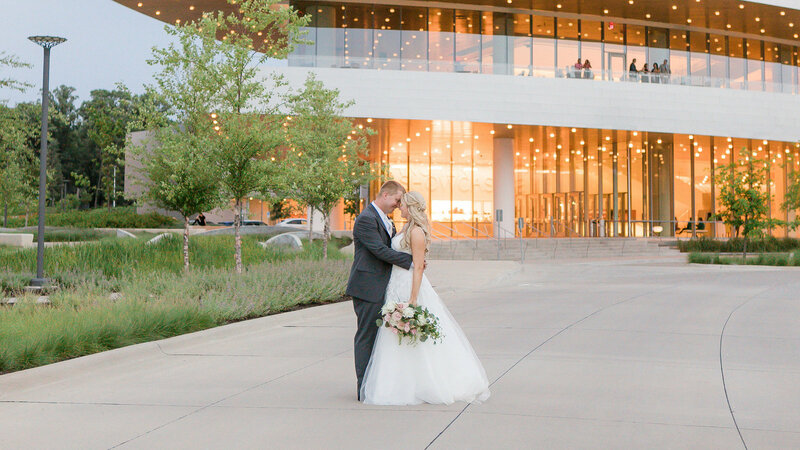 Jaclyn chose blush pink and mint green and it was the perfect combination of elegant, classic, and modern all in one. I still love that she wore her mother’s wedding shoes. They broke just moments before the wedding and I have some behind-the-scenes photos of the dads all at work with a hot glue gun trying to fix them for her. It was a sweet moment that I’ll never forget. 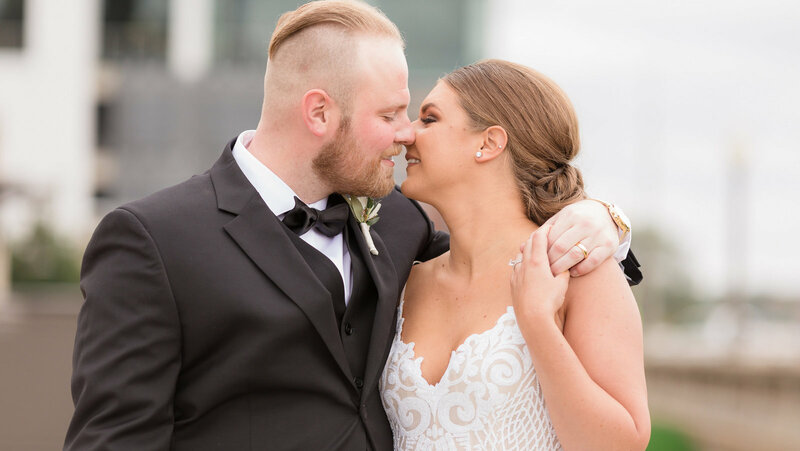 Jaclyn & Jacob’s wedding has been featured over on Blushing Bells Iowa today and it makes me so happy to see all that sunshine and pretty Iowa weather in the photos. 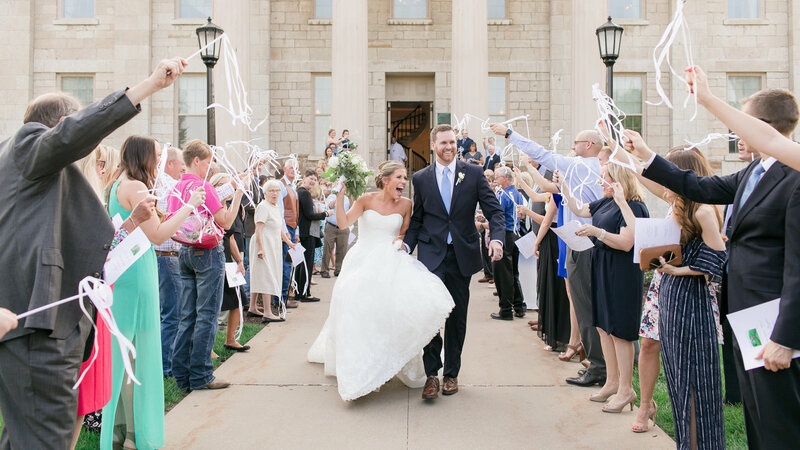 Summertime weddings in Iowa are usually…warm. Hot, actually. And Stephanie & Sam’s was certainly hot. But they live in Texas so heat is something they’re used to. 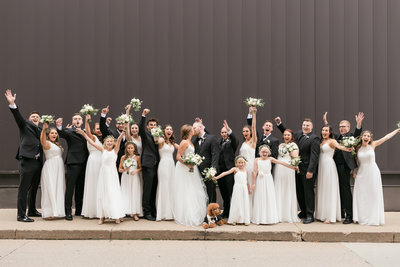 What you can’t tell in these pictures is just how hot it was or how quickly we had to photograph the bridal party and couple! We had a very limited amount of time for photos with no wiggle room at all and we blazed through these like superman. 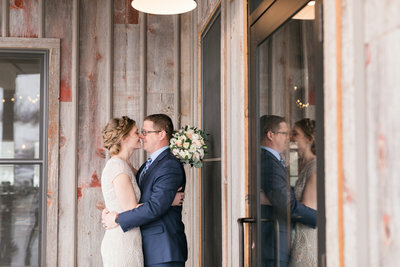 I’m so happy that their gorgeous wedding was featured on Blushing Bells Iowa today! It’s so much fun to relive a couple’s wedding, especially when it lives on a blog other than mine. 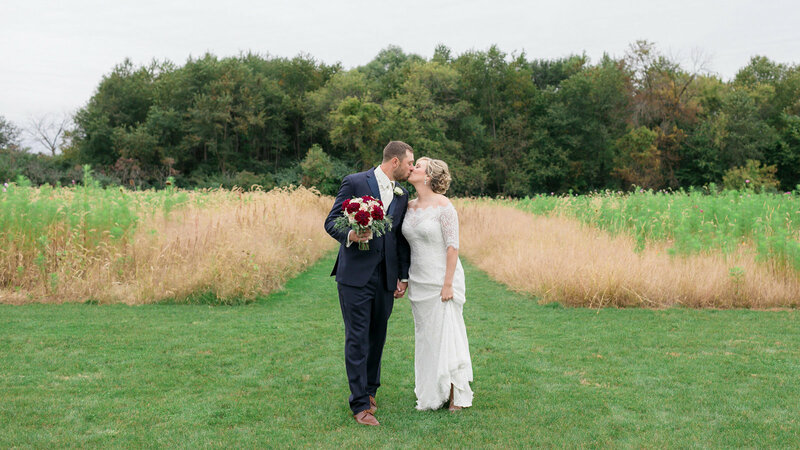 Their wedding day was the absolute perfection of Iowa fall. It was crisp and cool, without being cold. You could hear the rustle of the tall grasses, the crunch of leaves, and smell that slightly smoky fall air that hints of burning leaves mixed with cool air. 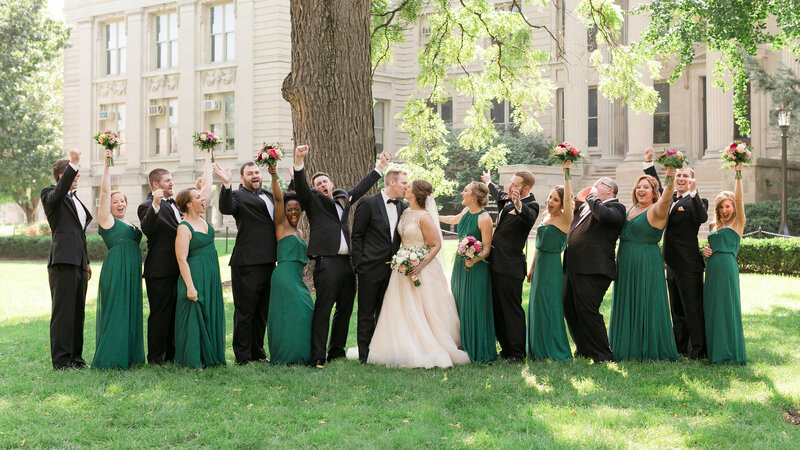 And even though it’s April now and the trees are boasting their unending seasonal circle of life and giving us fresh blooms, I love looking back at Jenna & Andrew’s wedding and reliving the joy of their day. 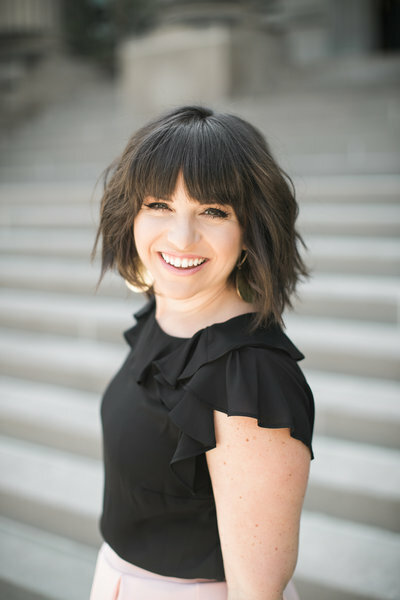 On that note, I’m so pleased that their wedding is being featured on Blushing Bells Iowa today! Head on over and check it out! Rose & Paul just got married 2 weeks ago in a stunning wedding clouded with rain. I’m so excited that they were now husband and wife; they are the sweetest couple who cares not only for each other, but genuinely cares about and takes care of people around them. They are such a perfect match and I’m so excited to see their marriage flourish. Back as they were planning their wedding, we got together while Paul was back in town one weekend for their engagement session. 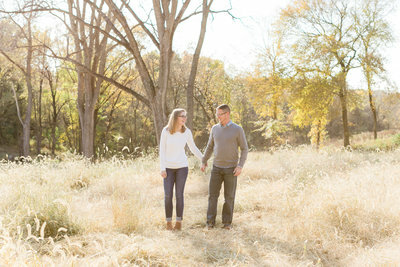 Today that beautiful session in the gorgeous Midwestern fall season is being featured at Blushing Bells Iowa! Emily & Mitchell’s wedding was a beautiful day at Old Brick in Iowa City. They had the most gorgeous color scheme with blush pinks and navy and their ceremony was set up with soft draping and fresh flowers. During cocktail hour outside on the lawn, the entire church was transformed for the reception. 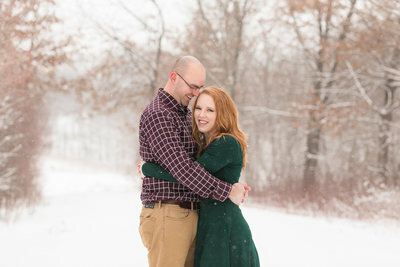 Their wedding is being featured today on Blushing Bells Iowa and it’s making me very excited for spring, green trees, and fresh flowers!